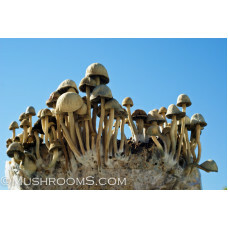 Panaeolus spores are from the genera panaeolus mushrooms and are very active mushrooms growing throughout most warmer regions of the world that get a decent amount of rain. The spores from panaeolus cyanescens, tropicalis,bisporus, and cambodginiensis are black. 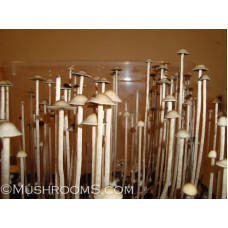 This mushroom is not a heavy spore depositor but we do our best to load up the syringes with tens of thousands of spores for your microscopic research. In nature they grow on aged dung in grassy pastures of water buffalo, cattle and horses in tropical and subtropical climates. Although they have been reported in other climates as well. This species is spread through SE Asia subtropics, especially in Indonesia and Thailand. 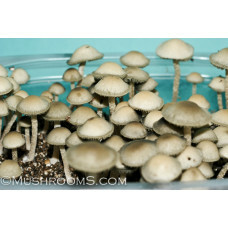 Panaeolus mushrooms are also spread throughout North America, and common throughout the Hawaiian Islands, Florida, and Mexico. As well panaeolus species are common throughout the caribbean islands. The panaeolus species also shows up in some books as copelandia instead of Panaeolus name. This species is an excellent choice for ranches and farmlands as it's a quick dung decomposer. The fungi can break the dung down into rich composted soil, which feeds the grass that the livestock grazes on. The spores are deposited on the grass, which is then eaten by the livestock and deposited around the farm and fungi life cycle continues. 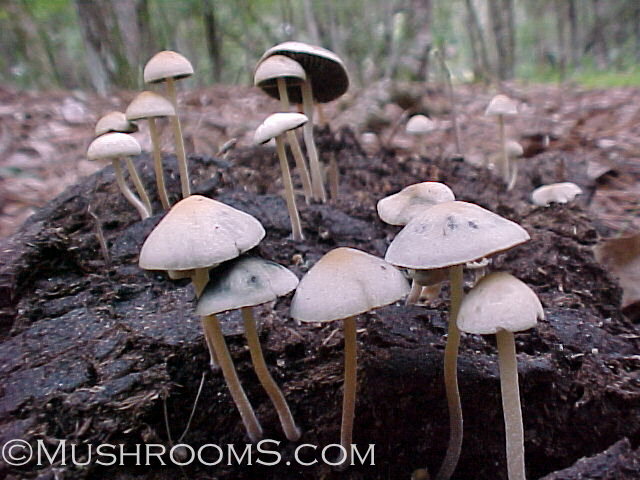 Many ranchers have noted the dung smell is reduced when this fungi is present on the land. 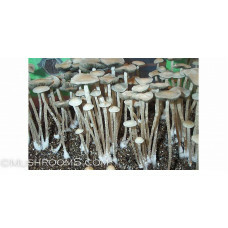 In some Asian countries, spores from panaeolus mushrooms are an ingredient in shark fin soup as an aphrodisiac. Shark fin soup is quite popular in China as a luxury item. As an avid scuba diver I do not agree with the de-finning of sharks. Their is no scientific evidence shark fins are an aphrodisiac. We can not attest to the spores actually being an aphrodisiac but the mushrooms themselves certainly are in our experience. The spores are merely a flavor enhancement in our opinion. Shark fin soup dates back to Ming Dynasty in China but it sure would be nice to see them replace the shark fins with mushrooms! 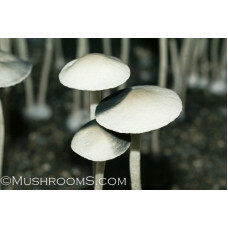 An interesting note about the spores and gills of panaeolus mushrooms. This species is known to have a spotted appearance on their gills just prior to being fully mature. This is caused by an uneven ripening of the spore-producing cells (called basidia) on the gill surface. Microscopic Features: SPORES are blackish in deposit, smooth, lemon shaped, 11-16 by 7.5-11 µ. 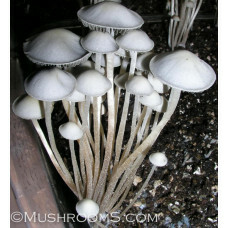 The copelandia (panaeolus) bisporus mushroom is another highly active mushroom that grows in nat..
Copelandia mushrooms grow throughout the Hawaiian islands where there is plenty of rain and gras.. 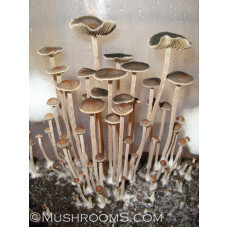 This strain of copelandia cyanescens originates from Kembla Grange in NSW Australia, and was discove..